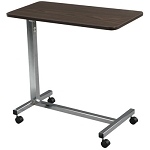 Non-Tilt Top OverBed Table with silver vien finish and walnut laminate table top. Table top can be raised or lowered in infinite positions. “H” base provides security and stability. The Non-Tilt Top OverBed Table features a height adjustable top and silver vein finish mast and base that is ideal for home use. 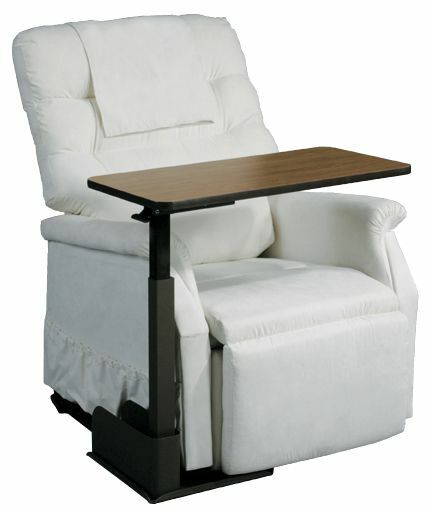 This rolling table with swivel casters enables caregivers to move and position it in the ideal place for their loved one. The durable walnut, wood grain laminate top provides an ideal surface for drinks, meals or for most any reason requiring a mobile table. 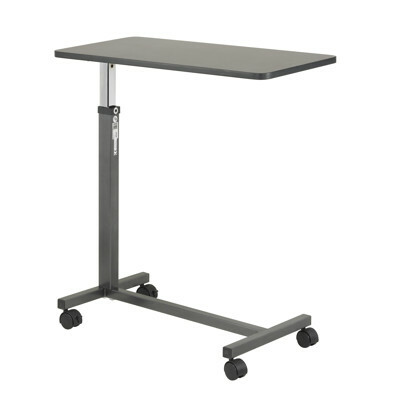 The Non-Tilt Top OverBed Table can be raised or lowered in a variety of positions between 28 - 45 inches. 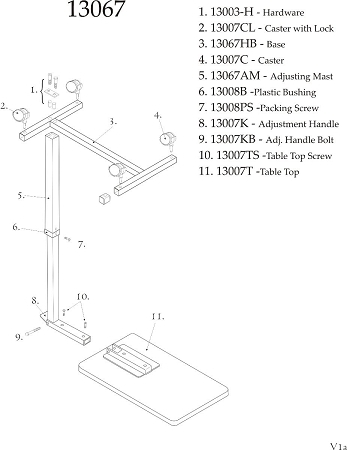 Caregivers will find the table top can be raised easily just by lifting upwards. Four 2 inch wide swivel casters allow for easy maneuverability. The "H" base provides stability and security. 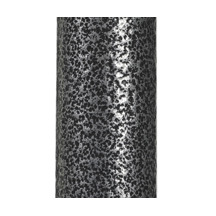 The base and mast have a silver vein finish that is easy to maintain and is less institutional looking. 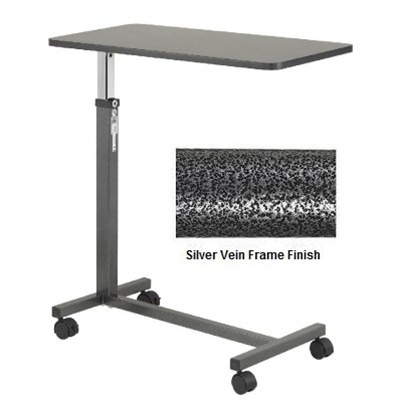 Table Height Range: 28 - 45 inches. Table Surface: 30 inches wide x 15 inches deep. Base: 26.5 inches wide, 15.5 inches deep.